efore he was the ultimate power broker in the Marvel Universe, Norman Osborn was better known as the Green Goblin – the insane arch nemesis of everyone's friendly neighborhood Spider-Man! Now, experience an early turning point in the ongoing war between the wall-crawler and his glider-riding rival – the unmasking of Norman Osborn from AMAZING SPIDER-MAN #39-40 (1966) – like you've never seen it before, fully remastered with modern coloring. 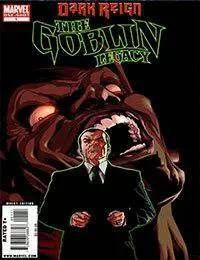 Also featuring an all-new framing sequence and a Saga-style recap of the complete history of the Green Goblin!